Side Project’s first release of The Origin, Brett Project, and Saison du Fermier at Perennial in St. Louis. Within the craft beer boom is a mini-boom of barrel-aging. More craft breweries are starting to mix in a couple barrel-aged specialty one-offs to try something new, re-think an old favorite or stand out in a crowded market place. Side Project Brewing is small craft brewing outfit based in St. Louis, producing about 150 barrels (bbls) since starting two years ago. Owner and Brewer Cory King started Side Project as (get this) a side project from his day job as head brewer at Perennial Artisan Ales. From the beginning, the goal was to focus on barrel-aging and only barrel-aging (all of it in oak so far). King said he’s looking to have more than 200 oak barrels filled by the end of 2014. Side Project will be releasing more beer in early February. What do you personally like about barrel-aging beer? King: My first step in to the industry was actually in wine. I love the nuances that oak adds when properly executed in both red and white wines. The roundness, its ability to pull things together, its softness and its living nature makes both wine and beer something more. This passion has been my primary desire ever since I got into brewing professionally. What beer styles do you think work best barrel-aged, why? King: I don’t think that you can actually classify what works best or what combos work best. The joy of this industry is the ability and desire for brewers to push the boundaries, experiment and create new styles. Personally, my favorite combos are luscious imperial stouts in bourbon or rye whiskey barrels and saisons in chardonnay barrels. Is there an aging sweet spot? King: There is no aging sweet spot — every beer is different — but, you can definitely over and under age them. Unfortunately, as this trend grows, I think we will start seeing a lot more underaged, rushed beers. I never feel as though the barrel character actually diminishes after packaging. Usually, you will get a more rounded, better beer with a little time though, if the brewery hasn’t aged it for you already. What are some of your top barrel-aging tips or most common mistakes? King: Top Tip — Time and patience. 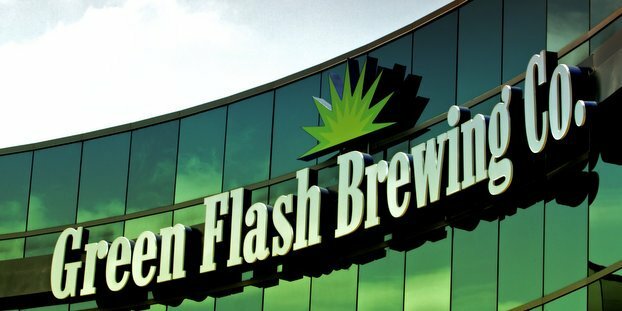 Way too many rushed beers out there. Top Tip for sours — Keep you fingers out of them! In other words, stop sampling them all of the time, minimize O2 exposure and keep your barrel facility temps regulated. Acetic acid doesn’t need to be in every barrel-aged sour and ethyl acetate is detrimental. Wine equipment will become your friend. Get a good cane for racking from barrels. We use one from GWKent. Can you talk about the proper cleaning process? King: Sanitation is as important as ever, especially if you plan on replicating your beers. Whiskey/bourbon barrels, for first use, I don’t touch them. All I do is purge and rack straight in. Wine barrels are a different story. Buy good barrels or you will be spending all of your time trying to get them to seal up, and once you seal them with hot water, you will lose any of the wine character that was left (if you are wanting more than a neutral barrel). Hot water and sulfur disks. 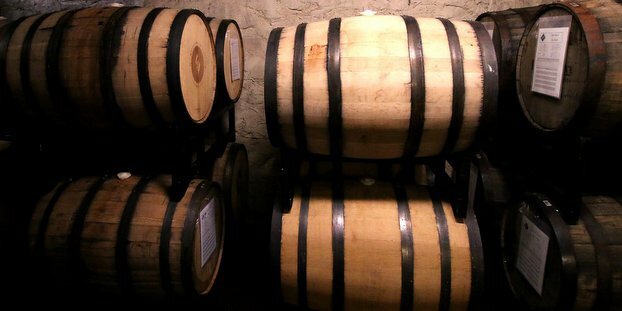 How do you properly insure your barrel-aging program? Read our expert advice. King: I bought most of my wine barrels from local wineries, but it looks like I am going to have to start sourcing them elsewhere now. I have bought some through brokers, but unfortunately the brokers may not be as particular about their barrels as I am. I want to know the age of the barrel, the wine or spirit that it held, when it was emptied, the wood, what type of fermentation (native or pitched yeast), etc. Next step will be to find more wineries to buy from directly. What separates a quality barrel from the rest? King: Be on the look out for dried up barrels. Most of them can be sealed, but you will use a lot of hot water and time doing so. Thus, losing any wine or spirit note that was present. If a spirit barrel is leaky, it’s pretty much useless to me, unless I want it for a neutral sour. Any other trends to watch out for? 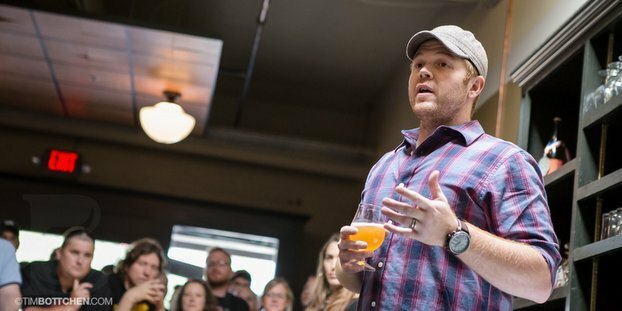 King: We will see more and more breweries start barrel aging and I think that the barrels used will get more and more creative — rum, tequila, Grand Marnier, bitters, gin, brandy, cognac, cider, etc. Stephen Simon liked this on Facebook. Nick Machado liked this on Facebook. Matt Yohe liked this on Facebook.